Most of the Earth’s biosphere is cold and is populated by cold-adapted microorganisms. To explore the natural enzyme diversity of these environments and identify new carboxylesterases, we have screened three marine metagenome gene libraries for esterase activity. The screens identified 23 unique active clones, from which five highly active esterases were selected for biochemical characterization. The purified metagenomic esterases exhibited high activity against α-naphthyl and p-nitrophenyl esters with different chain lengths. All five esterases retained high activity at 5 °C indicating that they are cold-adapted enzymes. The activity of MGS0010 increased more than two times in the presence of up to 3.5 M NaCl or KCl, whereas the other four metagenomic esterases were inhibited to various degrees by these salts. The purified enzymes showed different sensitivities to inhibition by solvents and detergents, and the activities of MGS0010, MGS0105 and MGS0109 were stimulated three to five times by the addition of glycerol. Screening of purified esterases against 89 monoester substrates revealed broad substrate profiles with a preference for different esters. The metagenomic esterases also hydrolyzed several polyester substrates including polylactic acid suggesting that they can be used for polyester depolymerization. 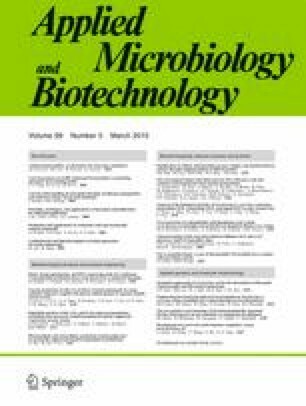 Thus, esterases from marine metagenomes are cold-adapted enzymes exhibiting broad biochemical diversity reflecting the environmental conditions where they evolved. The online version of this article (doi: 10.1007/s00253-014-6038-3) contains supplementary material, which is available to authorized users. This work was supported in part by the Government of Canada through Genome Canada and the Ontario Genomics Institute (2009-OGI-ABC-1405 and the research agreement OGI-055), Ontario Research Fund (ORF-GL2-01-004), the EU FP7 project MAMBA (FP7-KBBE-2008-226977) and MicroB3 (OCEAN-2011-287589). We thank all members of the Structural Proteomics in Toronto (SPiT) Centre for help in conducting the experiments and Dr. Manuel Ferrer (Institute of Catalysis, Madrid) for helpful discussions.